- The rear sliders are nearly identical- both are 4.0" long but the right side has a slightly longer base. - The front left slider is longer than the right side slider. - It is normal to be able to twist the slider on the spacer after fully tightening. 2. Use a small amount of grease or oil on the threads of the supplied screw. 3. Put the screw/washer through the shorter frame slider. 4. 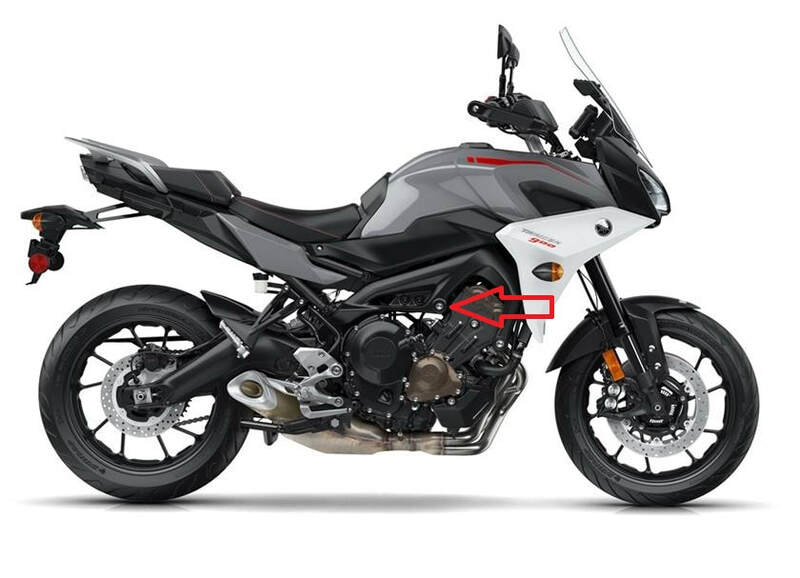 Thread the screw into the engine and tighten the screw to the factory torque specification. 5. Repeat the same steps on the opposite side with the other frame slider. 3. Put the screw/washer through the frame slider with the longer base. slider base should fit into the axle hex. 2. Tighten with a small amount of torque using the 5mm hex wrench. 3. Repeat steps 1-2 on opposite side. screw (60mm) that was supplied with the axle sliders set. 2. Attach the slider with the extended base (long slider) to the aluminum axle slider rod. 3. After tightening, insert rod/slider assembly into the left side of the axle. The rear axle slider assembly should not have any lateral movement once tightened.